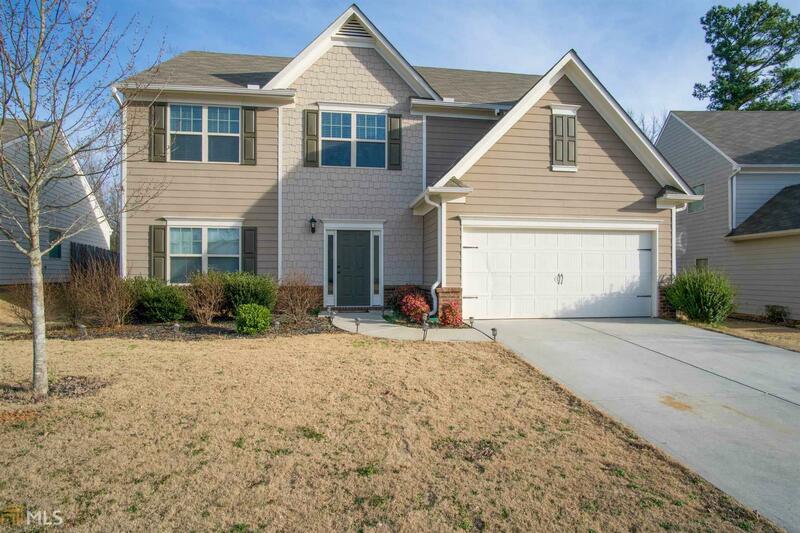 Beautiful 5BD|2.5BA home in Mundy Mill. Two-story spacious floor plan features living rm & separate dining rm/study. Bright kitchen with island, separate breakfast area, granite, & new stainless steel appliances. Kitchen, family rm, & breakfast rm positioned to the rear of the home provide access to charming patio area. Upper level delights with generous master suite. Sec bedrooms are nicely accommodating. Level lot with fenced backyard. Amenities include pool, tennis courts, pavilion, outdoor fireplace, multiple grilling stations, & playground. Directions: 985 N, Exit 16, Left On Hwy 53, Right On Old Oakwood Rd, Left On Mt.view Rd, Left On Pear Haven Ln. From Gainesville: South On Hwy 53, Left On Mt. View Rd, Right On Pear Haven Ln.